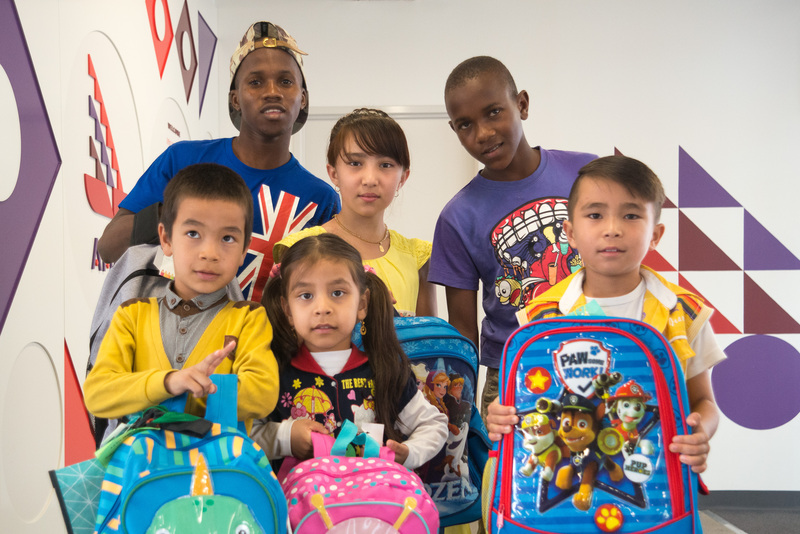 Grandmother of seven, Ms Elizabeth Crawley, discovered the backpack initiative through a newspaper article and decided to prepare backpacks with her grandchildren. “It’s an extremely important initiative because when the children look inside the bag, it shows them that people care about them and their family, and want them to be happy and have an equal opportunity at school. My grandchildren had such fun going to Kmart. They chose so carefully, making sure nothing was scary and that even the books they chose did not mention any scary things. They understood how hard it must be starting in a new place with no school bag. It just goes to prove that young people can help us build a kind and inclusive society with such understanding and empathy,” she said. The project has been embraced by a growing number of schools, including Trott Park Kindergarten, who have donated over 50 backpacks. Trott Park Kindergarten Director, Ms Maura O’Donnell, revealed that families were pleased to have this opportunity to contribute and children were excited about deciding what to purchase and place in the backpacks. “Parents feel that it has deepened their child’s awareness of giving and understanding that children in the world who are their age have had to move to Australia and they don’t have all the wonderful things they have, so it’s important that we are kind and share,” she said. The AMRC recently organised a gathering between new arrival families of Syrian, Afghan and Sundanese backgrounds and Australian families, who kindly donated backpacks. The session was attended by Ms Crawley, who contributed backpacks from her grandchildren, as well as parents and student representatives from Trott Park Kindergarten. The backpacks have been positively received by new arrival families with responses including: “My son loves the story books and colour pencils, and everything is so new and pretty. Australian children are so kind and welcoming, and we would like to thank them.” The AMRC will continue this initiative during the year.